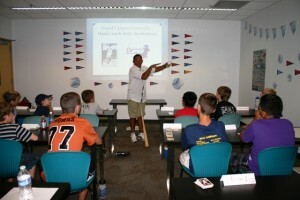 Andy Stankiewicz, GCU's head baseball coach, makes a point to campers this week at the Arizona Science Center. With the MLB All-Star Game taking center stage in GCU’s backyard, it seemed fitting for the Antelopes’ head baseball coach, Andy Stankiewicz, and his staff to share their love of the game. 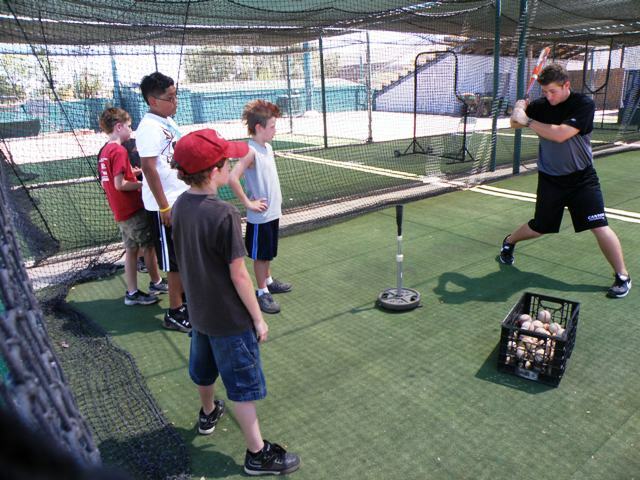 It all began when the Arizona Science Center in downtown Phoenix was approached to do a sports science type of camp during the week of the Midsummer Classic. Joshua Sheehan, a GCU alumnus who is guest relations manager at the center, immediately thought of his alma mater and contacted the Athletics Department to see what arrangements could be made. The three-day camp, which began on Monday and concluded Wednesday, included nearly 20 participants from ages 10 to 12. Aside from learning about the game of baseball, campers also learned how nutrition and physical fitness help players compete at the highest levels. Stankiewicz, an original Arizona Diamondback who was hired in the spring as GCU’s new head coach, went down to the Science Center on Monday to talk to campers about the science and math involved in the game of baseball. Also discussed were the intricacies of numbers and statistics and how things that are learned in math class at school can apply to baseball. 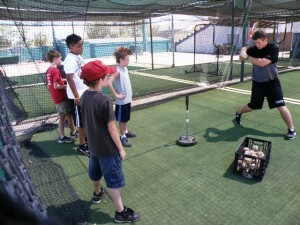 Campers learn from the GCU coaching staff during a visit to the Brazell Stadium batting cages. On Wednesday, the campers came to GCU to spend the morning with Stankiewicz and his staff. They were taken on a tour of campus that included the new Student Recreation Center. After the tour, the coaches worked with the campers on basic hitting, running and fielding drills at Brazell Stadium. Although it’s important for young players to be good teammates and to have energy and passion for the game, Stankiewicz said he focused on fun.